The sorry state of the billion rupee project. The Finance Ministry will borrow money from People’s Bank to settle billions of rupees in outstanding bills submitted by China Harbour Engineering Company Ltd (CHECH) for the construction of the cricket stadium in Hambantota. Cabinet approved the decision on the recommendation of a committee headed by Minister of Special Assignments Sarath Amunugama, after Sri Lanka Cricket (SLC) absolved itself of further financial responsibility for the expensive vanity project. SLC had doled out Rs 1.2 billion (its promised commitment towards the project) but CHEC, which implemented the initiative through the Sri Lanka Ports Authority (SLPA), had submitted a bill for a further Rs 5.27 billion last year. This includes interest on an outstanding of Rs 2.07 billion up to July 2015. The final claim included a price escalation of Rs 582 million, and Rs 603 million for additional civil works that SLC had not been informed of. This is nearly twice the initial sum claimed by the contractor. The project was estimated to cost Rs 2.45 billion but came to Rs 3.76 billion. Even though SLC incorporated these costs in its financials, it repeatedly absolved itself of paying the money. Therefore, the Government has now decided to settle the outstanding payment after the Amunugama committee recommended that the liabilities of SLPA towards CHEC incurred in the construction of the stadium should be taken over by the Government of Sri Lanka. 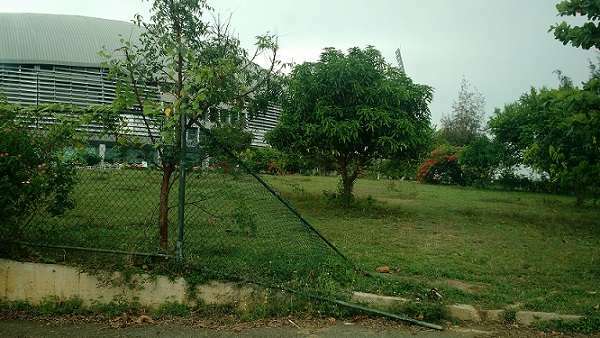 While renovations to Kettarama and Pallekele stadiums were deemed necessary, the construction of a brand new stadium in a deserted land in Sooriyawewa, Hambantota, was met with heavy criticism–not only because of the towering cost but also due to logistical reasons including insufficient transport and accomodation. But with their bid for the 2018 Commonwealth Games in mind, the former Government led by Mahinda Rajapaksa forced the SLC hierarchy to put up the stadium, promising that it will foot the bill for any balance remaining. SLC allocated a sum of Rs 3.3bn rupees: Rs 1.3 billion for Kettarama and Rs 1 billion each for Pallekele and Sooriyawewa. It later decided to pay an additional Rs 200 million towards the Sooriyawewa project. According to documents in the Sunday Times’ possession, the project was carried out by CHEC as a variation order to the Hambantota Port Development Project. SLC has maintained that it “did not have any intention to construct an international cricket stadium in Sooriyawewa” –a land largely populated by wild animals–but decided to honour a request made by the former leader, Mahinda Rajapaksa, leaving SLC in dire financial straits. However, SLPA billed Rs 3.76 billion soon after the completion of the project in time to host the 2011 World Cup matches, adding sums of Rs 582 million and Rs 603 million for price escalation and additional works. Although SLC entered into a Memorandum of Understanding (MoU) with SLPA, there had been no formal contract between the two parties, the documents add. Earlier, an independent study conducted by Attorney-at-Law Prasanna Jayawardena into the Mahinda Rajapaksa International Cricket Stadium project in Hambantota cleared SLC of any financial liabilities towards the controversial construction. In his detail report, he held that the balance payment should be borne by the State given the Cabinet Memorandum No. PF/07/01/pro/456 submitted by then minister of finance and planning. The MoU states that SLC will make such payment to CHEC using the funds allocated to SLC–”Sri Lanka Cricket aayathanaya sandaha venkaraathi aramudala bhavithayatagena“– which indicates that the State will provide to SLC the funds required to pay CHEC for the construction of the Hambantota Stadium. SLC decided to upgrade its infrastructure facilities ahead of the 50-over Cricket World Cup which Sri Lanka co-hosted with India and Bangladesh but many did not agree with SLC’s decision to built the venue in Hambantota. The venue–arguably the largest in the country–has hosted 27 international matches (20 ODIs and 7 T20 internationals) since its debut during the 2011 World Cup. Meanwhile, SLC has paid off all its outstanding payments to State Engineering Corporation (SEC) for the upgrading of the Kettarama, Pallekele and Sooriyawewa Stadiums. SLC owed SEC Rs. 771 million for the work but has reached an agreement o pay Rs. 650 million as final payment, including Rs. 50 million as interest.